Having endured a miserable long and wet winter we’ve finally been treated to a few days of sun and my garden has at last received some much needed attention. Weeds have been pulled, beds have been dug and seeds have been sown. All of which has left me with aches and pains in joints that had forgotten what work was like. 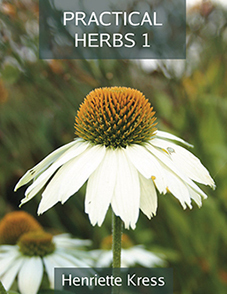 Earlier this week I was sent a review copy of a new book called ‘Practical Herbs 1’ by Finnish herbalist Henriette Kress. While taking a much needed rest I flicked through its pages, admiring the expert knowledge that has gone into it, with loads of information on some of our less obvious (and mostly wild) herbs and what to do with them. The likes of cleavers, chickweed and rose are all covered with instructions on how to make teas, tinctures, oils, vinegars and more. Being in the mood for a brew I turned to the index to see what I could quickly and easily make from something in my garden and decided upon blackcurrants – fruit season is a long way off but my plants are currently looking splendid with their bright green new leaves and blossom, and I know that those leaves can make a decent tea. According to the book, blackcurrant leaf tea has many health benefits, but the one I immediately noticed was for joint aches. I immediately hobbled into the garden for a quick picking. Henriette’s instructions are remarkably simple. 1 to 2 teaspoons of leaves for a cup of boiling water, which is left to steep for 5 minutes. Apart from that there is one small warning: “If you steep the leaves too long, the tannins render the tea almost undrinkable.” I filled my mug, set the timer and at 4 minutes 59 seconds whipped the leaves out, allowed the tea to cool a bit and started drinking. It’s a very tasty brew. There’s the musty tannin taste of blackcurrant that gives it a good, tea-ish bite and lots of fresh green flavours that make you feel healthy. The book recommends three cups a day for joints. I’ll put the kettle on again later and hope it works – there’s still a lot of gardening to be done. The post Blackcurrant tea: a DIY joint aid appeared first on Two Thirsty Gardeners. The answer is, of course, C and inevitably its the country we’ve visited more than any other. To enjoy a holiday in Belgium you don’t need a Lonely Planet, Rough Guide or any other book from the usual travel publishers, you simply need a Belgian beer guide. Of which CAMRA’s is the best. Now in its eighth edition, the book boasts descriptions on over 1,000 Belgian beers along with 800 of the country’s finest drinking haunts in which to enjoy them. If you can’t make a holiday out of that, you might as well stay at home with the cat. Like other travel books it opens with a bit of history, a bit about how to get there, and some stuff on Belgian food (which in our experience has been excellent. Especially the waffles). Then, it hits the beer. A huge A-Z section gives the lowdown on the country’s breweries, with a brief description and marks out of five for both the brewery and the beers they produce. It’s an astonishingly thorough run down of the nation’s beery goods from two authors whose palettes we’re happy to trust. Even if you’re not planning a trip to Belgium it acts as a great guide when considering a Belgian beer haul for home consumption. Once the beers are dealt with, the book moves on to the where to buy them. Nearly 200 pages, divided by the main cities and regions, with even a section on Belgian bars around the world. Each venue has a short description with essential information, and you’re also pointed in the direction of nearby beer shops and breweries that are open to visitors. The book also features maps, colour photographs and fact-filled boxouts. Pour yourself a Belgian beer, spend a few hours roaming this book’s pages, and start planning your best ever holiday. Coming from one of Belgium’s famous Trappist Breweries, Westmalle originated the celebrated Belgian Tripel style and it’s still the best. ‘The stuff of eulogies’ according to the book. When we first started drinking hardly anyone had heard of a saison, but these days they’re a common sight. Too many modern versions simply bung a saison yeast into any old wort and hope for the best: which is to achieve something like this, the dry, peppery saison benchmark. Barrel ageing is one of the latest beer trends, but few countries can match the way the Belgians do it. This is a tart, fruity Flemish Red, which has multiple flavours building up layers of delicious complexity. 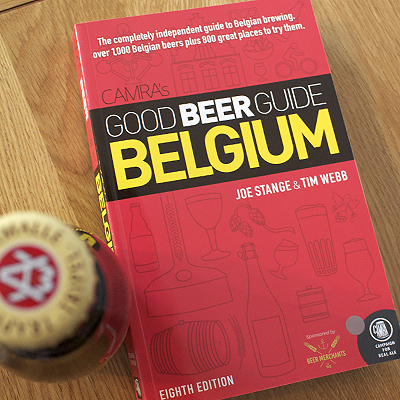 The post Book review: CAMRA’s Good Beer Guide Belgium by Joe Stange and Tim Webb appeared first on Two Thirsty Gardeners. The post We’re on the hunt for World Cup beers appeared first on Two Thirsty Gardeners. The post Beer of the Week #106: Small Beer Brew Co, Dark Lager appeared first on Two Thirsty Gardeners. 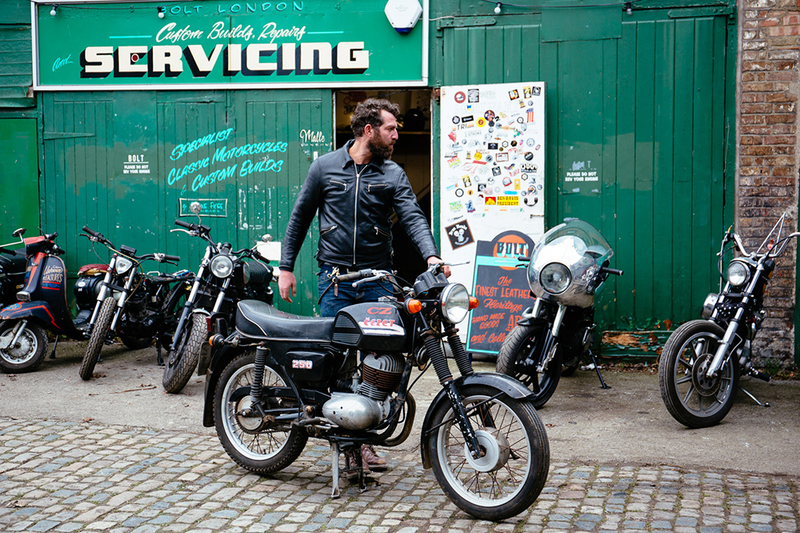 The post An interview with: the Budweiser Budvar bike maker appeared first on Two Thirsty Gardeners. As much as manufacturers try to seduce us with their shiny wares, the products we feature on these pages need to be pretty special before we are prepared to commit finger to keyboard and type some nice words of recommendation. 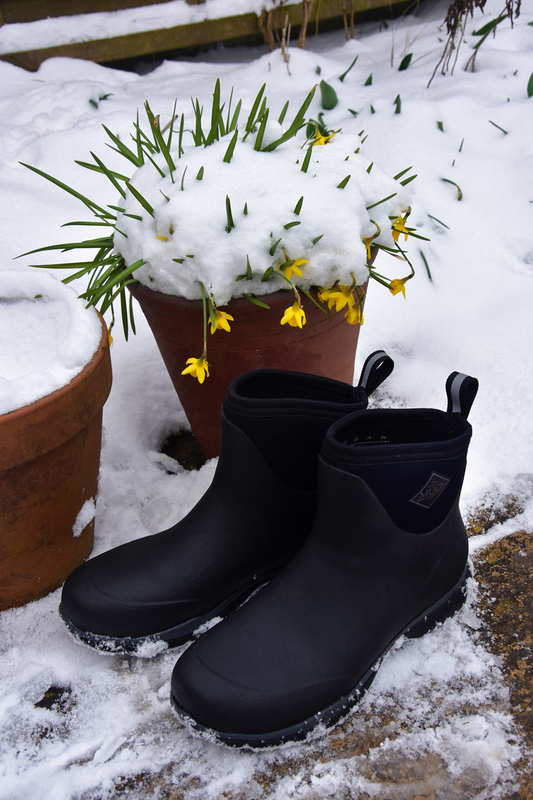 Props then to the folks at Muck Boot, who – with an impeccable sense of timing – managed to wang us a pair of wellies just in time to test out during the recent ‘Beast from the East’ trilogy. * Snow is a relatively uncommon winter occurrence down here in the mild, mild West of England** so when the white stuff hit Bath (six inches and rising), it caused apocalyptic scenes of panic and social dis-order. Thirsty HQ was hit particularly hard. Tesco had cancelled their home delivery service due to the treacherous conditions so an expedition to the local CO-OP was required to go and wrestle a pensioner for a pint of milk. Muck Boots’ offering proved to be the perfect shoe for such an arduous task. They had sent us a pair of Arctic Excursions, an insulated boot designed for action in extremely low temperatures (down to -40C it said on the label) and they did indeed keep my toes warm and dry during that gruelling 1.3 km snow-bound trek. Styled in the fashion of the Chelsea boot, my sawn-off wellies gave my legs freer movement than what a traditional knee high boot would afford. They proved to be ideal for running away from the CO-OP full pelt, clutching the last pint of milk from the shelves – the shouts of angry pensioners drowned out by the crunching of snow and my own manic laughter. Box-fresh boots don’t grip so good on slippery surfaces and you might find yourself doing a ‘Bambi on ice’ on your wellies inagural outdoor excursion. To prevent such an ignominy, find a rough surface such as a patio or patch of gravel and perform an Ali shuffle for a minute or so. This will scuff off the factory sheen and provide the necessary purchase required for stepping out onto perilous wintery ground. * I enjoyed 1 and 2, but I thought the third instalment was a little underwhelming. ** Default weather setting – drizzle. The post Cold comfort – a Muck Boot review appeared first on Two Thirsty Gardeners.